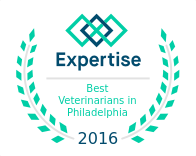 Dr. Lisa Suslak-Brown received her BA from Swarthmore College in 1987, her veterinary degree from the University of Pennsylvania School of Veterinary Medicine in 1991, and completed her radiology residency training at the Veterinary Hospital of the University of Pennsylvania in 1996. She is board-certified in veterinary radiology. Dr. Suslak-Brown established Veterinary Radiology and Ultrasound services, LLC, was an adjunct faculty member in the Section of Sports Medicine and Imaging at the University of Pennsylvania’s New Bolton Center 1996-2010, and serves on the board of directors of eVetDiagnostics; a teleradiology consultation service. Her professional affiliations include; American College of Veterinary Radiology, Veterinary Ultrasound Society, Large Animal Diagnostic Imaging Society, and the American Veterinary Medical Association. She joined the VRC team in 2019. Dr. Suslak thoroughly enjoys working in a supportive role with her clients. She provides the highest quality diagnostic information to veterinarians and pet owners, and offers a practical approach to case management based on the diagnostic imaging information. She has remained active in training radiology residents, veterinarians, veterinary students, and pre-vet students whenever possible.